Rusleem is an AHS Premium Stallion. Rusleem is "a Champion in all ways" and "a Champion for all reasons". For the year 2002, we bred with Ter Waele Hasty in the United Kingdom. From the old Crabbett bloodlines we selected, with the help of Mrs Beatrice Paine, the stallion Rusleem, owned by Mr. Stephen McMorrow, Cwm Farm, Coed-y-Paen, Via Pontypool, Nr Usk Monmouthshire, NP4 OTB, United Kingdom. We are very pleased that Mr Stephen McMorrow accepted Ter Waele Hasty as one of the few mares who was allowed to be bred by Rusleem in the year 2002. Rusleem is a son of El Saleem, his dam is Rullante. 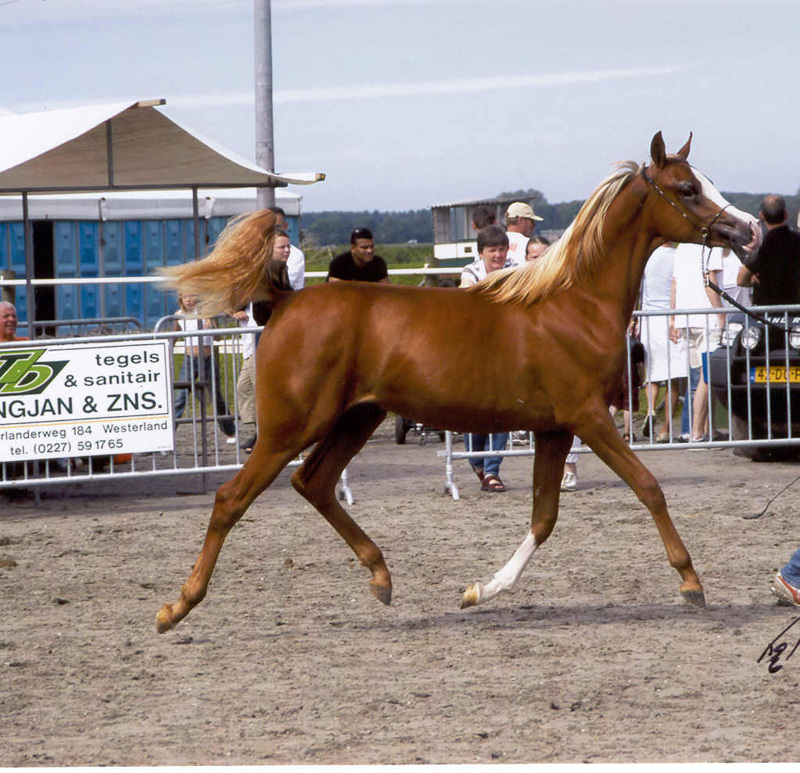 El Saleem is the stallion we used very successfully in our breeding programm. El Saleem brought us our beautiful Ter Waele Hamidah, and therefore we choose his famous son Rusleem for the breeding of Ter Waele Hasty. By using Rusleem we are able to continue our breeding program with this old bloodline. Rusleem showed his quality over and over again and most important his offspring has outstanding quality in all disciplines, showing, endurance and racing. Rusleem is a multi champion in showing in hand and under the saddle and is still very beautiful at the age of 13 years. Rusleem is bred by Mr & the late Mrs J.R. Coward.